There are many "land mines" in workers' compensation cases. 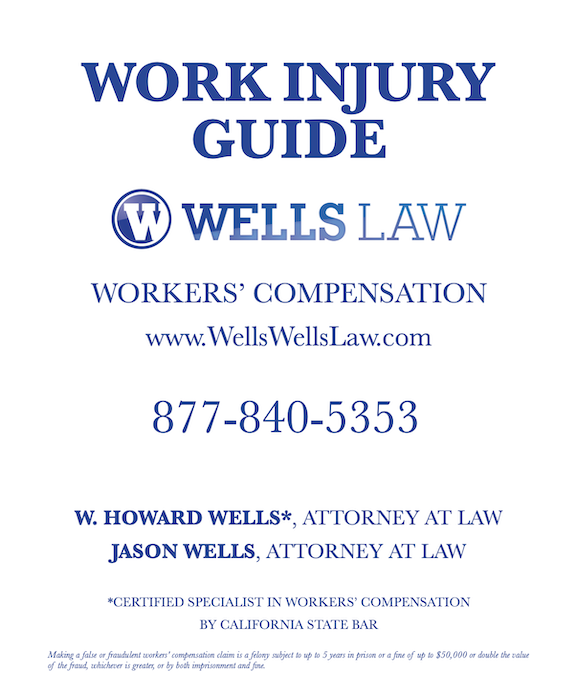 We have listed a few mistakes that unrepresented injured workers make. This is not an exhaustive list. The insurance companies have staff and attorneys that are trained to navigate the workers' compensation system, so how do you know you are getting the benefits you're entitled to? It's important for you to understand the paperwork that is being mailed to you; if you don't understand it, then you could make a mistake that could affect your claim. If you have an injury that is going to affect the way your daily activities in your life and your ability to perform your current job or future jobs, then understanding the paperwork is critical. Look at how each form looks under QME list, QME Request Form, and QME Appointment Form sections of this page to see if you have any of those in your paperwork. If you have any forms or a letter or document that references a "QME" or "Qualified Medical Evaluator," then contact us immediately 707-532-4344. If you get a form from the insurance company entitled "REQUEST FOR QUALIFIED MEDICAL EVALUATOR PANEL" and fill it out without the assistance of a workers' compensation attorney, and/or if you delay in taking action on that form, then you may end up with a doctor to evaluate your case that isn't the "best fit" for your case. If you have a form in your paperwork that looks like the form below, then call us at 707-532-4344 and say you need an attorney to help you fill out the form. If the State of California sends you a QUALIFIED EVALUATOR PANEL with a list of three doctors, then contact us immediately. Again, if you select the wrong the doctor, then your case could be forever affected by that doctor's opinion whether or not you agree with it. If you have already been scheduled with a doctor off of the list of three doctors, you should get a QME APPOINTMENT NOTIFICATION FORM. Contact us immediately if you have a form like this and especially if you HAVE NOT ATTENDED the appointment. If you receive a medical release or medical authorization, it's recommended before you fill those out, give us a call. Most of the medical releases sent by the insurance companies ask for information they are NOT entitled to in most claims. If they are asking for authorization to psychological records, HIV, criminal or past civil lawsuits that you have been in involved, do not sign the form until you speak with us. If you get a phone call from an investigator or claims person who wants "record your conversation," then do not allow it. If an investigator calls and wants to meet with you, DO NOT agree to this. It's time to contact an attorney. If you receive a letter denying your workers' compensation claim or a letter denying certain body parts (for example, you hurt your neck and shoulder and they have denied your neck), then contact us at 707-532-4344. If you get a letter saying your claim is going to be closed, then you may have some short time limits to protect your rights. Contact us at 707-532-4344. If a CalPERS letter or any other communication determines that you are substantially incapacitated from performing your usual duties and finds you are eligible for Disability Retirement BUT denies IDR or will not make a determination for IDR, and/or you believe that work caused all or part of your disability, then you should to take legal action immediately. If you get a letter stating that your Disability Retirement is approved, then contact an attorney immediately. You may have other rights. It's better to be safe than sorry. If you get a letter stating that your Disability Retirement is approved, but your IDR is denied, then it's likely your workers' compensation claim is denied. Our recommendation is that you should contact an attorney immediately. Failure to take action could bar your rights forever.